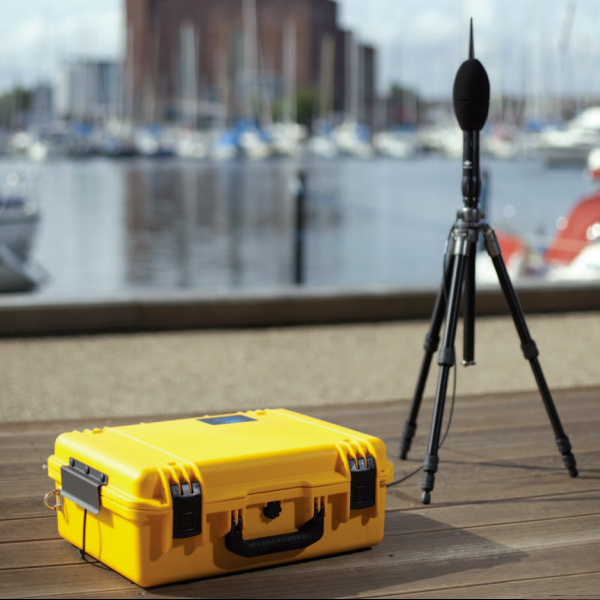 All-weather Case Type 3655 houses a noise measurement system based on Hand-held Analyzer Types 2250/2250-L/2270. The case is light and robust, with its contents protected by high-density machined foam inlays. Designed for unattended noise monitoring, the enclosure protects the measurement system from the weather and unauthorised access, while providing power and remote data retrieval. Battery power for extended measurement durations is provided by two Li-Ion batteries. These lightweight batteries make Type 3655 compact and completely portable. A charger is included in the case for each battery. The chargers can also be used to power the system if mains power is available. Alternatively, external DC power can be used. A wide variety of optional accessories and measurement modules are available to tailor the system capability to the monitoring task.